Merion Investment Partners III, L.P., is excited to announce a new investment in Medical Physics Holdings (the “Company”), a leading provider of medical physics staffing and support services throughout the United States. 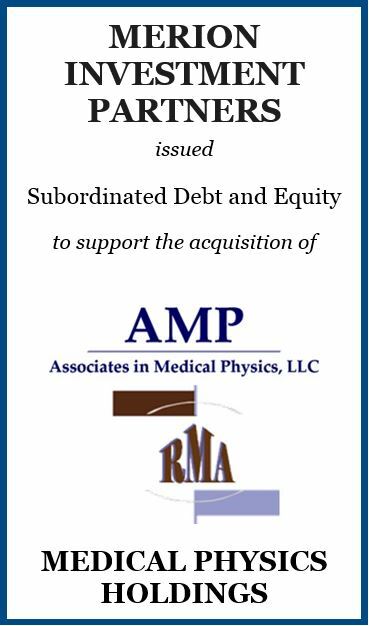 Merion provided subordinated debt and equity to support L2 Capital Partners and its acquisition of the Company (operating as Associates in Medical Physics LLC and Radiation Management Associates LLC). The Company provides highly technical staffing solutions to major oncology centers, as well as machine diagnostic and related regulatory services to hospitals, independent centers, imaging centers and private practices.